Odds are, you’ve probably heard FRENSHIP, even if you didn’t realize it at the time. The electropop duo’s hit single “Capsize” (with Emily Warren) made waves seemingly overnight, skyrocketing up the charts and, staking its claim as one of the biggest songs of the summer. Made up of Brett Hite and James Sunderland, FRENSHIP had only released several singles since their formation in 2013, which makes their meteoric rise — over 175 million streams and ranked in Spotify’s Top 50 artists in the world at press time — even more dizzying. On September 2, FRENSHIP released their debut EP, Truce (via Columbia Records), to worldwide excitement. The five-song EP boasts more than just “Capsize” — from the catchy, detailed relationship snags of “Carpet” to the gently acoustic yet energy-filled version of the band’s first song, “Kids” — Truce is an honest, relatable journey packaged in dance-ready electropop. However, Truce’s success hasn’t gone to FRENSHIP’s head. In a way, they’re riding the wave of “Capsize”s success — but never stopping just to float in it. Though their music has gone viral, the duo aren’t anywhere near ready to stop and take a break. In between shows and prepping for what’s next, FRENSHIP caught up with Atwood Magazine. Atwood Magazine: Hey guys! First of all, congrats on the EP and everything — that’s so great. And on the tour as well! Where are you right now? Brett Hite: We’re in Columbia, South Carolina. Oh yeah? What’s it like down there? Brett: [laughing] A little steamy, just did a laundry day. Yeah, good. So — I feel like I have to start with this — rumor has it that you guys met while working at Lululemon. Aside from you shared passion for spandex workout wear, can you tell us a bit more about how you came together to start making music? Brett: [chuckling] Basically, we both were kind of at loose ends with our own musical pursuits. James was in another kind of a duo thing at the time, and I was doing the singer-songwriter, kinda-solo-career thing. We were kinda getting exhausted by it, and nothing was really going extremely well for either of us…So we got jobs at Lulu and then we were [there]—we didn’t know each other prior to [working in retail together]. And this lady that we worked with—we were really kind of the only two dudes working there—and all of our coworkers were like, oh you guys should play music together, cuz we both play music. So we listened to each others’ stuff and weren’t that amused and didn’t feel any kind of need to work together right away. So we like, I don’t know, we hung out, we had a good time, we were friends, we liked each other and hung out all the time and never made music, [would get] very drunk…And then [we were like] alright, let’s stop drinking so much and start making songs. And hey, look at where you are now. All that paid off for you guys. Alright, so, Truce came out at the beginning of the month. And “Capsize” has reached over 100 million streams. How does that feel for you guys? Brett: Pretty ridiculous, to be honest. It feels really good. It’s kind of fun…because we’ve been doing this for awhile and it’s really fun to see something kind of ignite a little bit. We’re reaping the benefits of that. It’s really cool being at these shows in small towns and then having people sing back the music. It’s [a] really weird, rewarding, cool feeling. Yeah, it’s great. Awesome. Brett: It’s like if someone were gonna bring [you] back your article that you’d write. Can you tell us a bit more about “Capsize” and how you guys came to work on it with Emily Warren? Brett: Emily was a friend before “Capsize.” We met her because she was on the same publisher as us. And our publisher was definitely at the time, they were doing everything for us…they were just booking us shows and doing all that stuff. So we met Emily through them and [it was] just kind of…similar, probably, to how James and I met, [we just] kind of hung out the first time. We had written a few times before Capsize and something, like, really took and we knew Emily was special and that we worked really well together. So we [all] met up the day of her graduation…We [Brett and James] were up til four in the morning the night before, and she had to be up at 6 or 7 the next morning. Our session was at like 2 in the afternoon and she showed in her cap and gown. And she [had gotten] this voicemail that her grandma had left her, which ended up being on the end of the song, actually. There was just like an emotion… I don’t know, we were all delirious from lack of sleep and I’m not sure what it was, this emotion, but we just felt that voicemail certainly embodied [that feeling] and the rest of our time was spent trying to… capture that emotion and identify it in the sound. That’s really cool. Sounds like everything sort of fell into place there. Brett: Oh, yeah. It definitely took a lot of rewrites and things like that, but it was…yeah, it was certainly a special one. 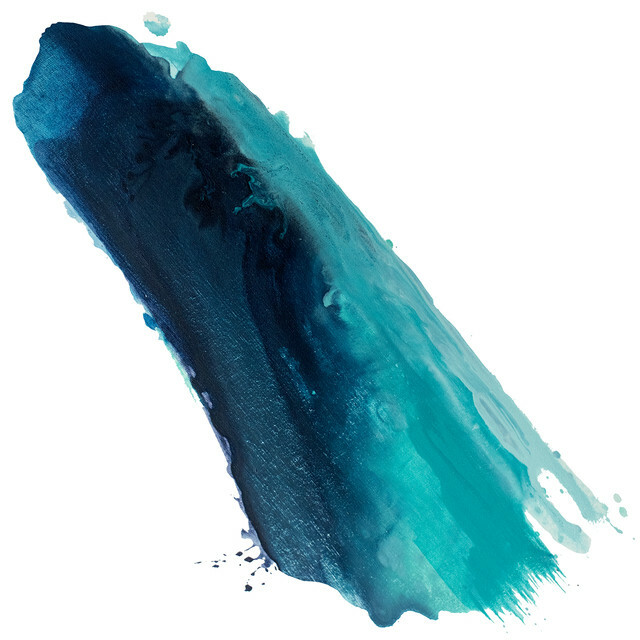 “Capsize” has sort of gained a reputation as one of the “Songs of the Summer,” which is something both really exciting and might be a bit stressful. But given the amount of people that are still listening to it, I think you guys are fine. Which leads me to wonder—was there any added pressure on you guys as a band once “Capsize” went viral and got really big to make sure that the EP was completely perfect? Brett: I think…I don’t know. At least, I didn’t feel external pressures too much to make our EP [line up] with “Capsize,” because…we did “Capsize.” It’s done, you know? And it still has a life, obviously, hopefully, here and in other places. But I think you can kinda get into trouble when you start [to] do “Capsize 2.0” or the next generation of a song. And that’s how you kinda crash and burn. So we have really evolved the taste, it changes all the time. And like with so many different things, we’re always trying to stay…hopefully, somewhat [productive] with our [next stuff] and move forward quickly with it. But yeah, no, I mean, the pressure probably came from [laughing] each other! We always want to make the best song and we try to keep a really high standard when we’re putting stuff out. And hopefully that standard came across in the EP as well. But yeah. We try not to worry too much about next time. Brett: I think, like, we never have had a song do this well, either of us. All of our songs, individually—we’ve probably come up with hundreds of songs together, and… you can never call when a song will do really well. But I think that takes a lot of pressure off…So you do your best and then you, you actually give your best. Personally, I really like your song “Kids” and I was really excited to see that the acoustic version made it onto the EP. What made you decide to include that song and that acoustic version of that song? Brett: I think it was [that] the original recording was just such a departure from what our sound is [and] has become. And so I think…kind of a lot of [it was that] we wanted to revisit it and make it more [of] where it’s at today. And it was just kind of a fun little nod to the first song we ever did together. That’s cool! Well, I like it, and I think everyone else does, too, so good job. How would you say that being based in LA has affected your music, if at all? … you can never call when a song will do really well. Okay, this one’s kind of fun: Describe your sound in a sentence or with emojis. Your choice. Brett: Hmm…definitely, like, the gun emoji…Nah, I’m just kidding [laughing]. And you’ve got a nice smoothie. Brett: I don’t know! We’re still working with it. Yeah…We’ll put in the blender as well. After we’ve blended it [laughing]. Can you work with that? Sure, why not? Good smoothie. So, what are you guys listening to right now? What should we all be listening to that you guys have discovered? James: …I’ve been listening to, well, I’m back into John Mayer a little bit. And a girl named Chelsea Cutler, actually. I’ve just been crushing on her [music] here. Good choice. So let’s 180 a little bit and talk influences. What kind of music did each of you grow up listening to that you really connected with and how has that impacted what you’re making now, if at all? Brett: Um. That’s a bit funny…I definitely have a really diverse background, sort of…[growing] up on my dad’s sorta Hawaiian stuff… And then my stepbrothers were all super, like, kinda underground hip-hop junkies, so there’s a lot of that stuff that I listened to. And my personal faves were kind of rebelling [against] all that, like kinda hard rock. Like late 90s, I guess. The thing I will say too, though, is that we—probably what influences FRENSHIP the most—would be a lot of the like pop-y 80s stuff from like The Police, Genesis. And all…those [band] members’ solo careers as well. There’s…a lot of like, Toto kind of stuff—really big choruses with some, like, interesting drum patterns and like unique percussion elements. A lot of that music…holds up. We try not to worry too much about next time. Bit of a cliché question, but, do you have a song that you really especially love to perform live? Or is it… equal love for all the live stuff? James: We have…[an] old song called “Morrison” that we adapted a bit to the live set that we’re doing right now. We did a remix [awhile back]…and put the chorus and vocals on top. It’s super, super fun to play live…Yeah, that one’s a lot of fun to play live. It’s probably one of our more high-energy songs we have right now. Cool. So where are you looking to tour next? Like if you could play anywhere, where would that be? Any sort of dream venue? Brett: We are scheduled to play Europe next year and that’s, a) kind of where I would love to go, and b) where we’re actually going, I believe. So, it works out…that’s probably what I’m most excited [for]. Brett: [chuckles] Yeah, we are playing Red Rocks on this tour! That’s something we’re all looking forward to. But yeah, I think [for] myself…I’ve seen a lot of the United States. [But] I haven’t had a great experience [performing around] the rest of the world [yet]. Yeah, and, and theoretically Europe is [loving] “Capsize” as well, so I think to be so far away from here and see people just knowing our music would be just a cool experience. Yeah, I’ve heard Red Rocks is supposed to be amazing, both for performers and for people in the audience, so that’s really cool. Brett: Yeah! It’s the best place. It’s really cool being at these shows in small towns and then having people sing back the music. Alright, so — without throwing anyone under the bus, what is your worst tour memory? Brett: [laughing] This tour so far has only been three weeks, so, yeah, we’re just getting to it. James: Worst tour memory? That’s a tough one. James: My worst — have you thought of one? Brett: Yeah. James got food poisoning. James: I did not get food poisoning! James: Actually, I got kinda drunk one night…But yeah, I didn’t have my voice for like a week and I just got it back so that was probably the worst. Definitely, probably. Brett: I think too, also in this situation, I don’t know, just given what we have and who we are, I think the situations that are really bad we all make fun of. [Which] makes better memories…like, hilarious memories. You have everyone there and you’re [all] making fun of [stuff]. Our guitar player was really having a [struggle] one day and we were making fun of him, pretending like he had got food poisoning or something, [laughing] and it’s been just kind of a running joke as well. I don’t know, yeah. So far we’re all just so excited there’s not been any[thing] too traumatic. Good, that’s good to hear that you’re having a good time out there. Alright, so… What’s next for you guys? You mentioned Europe, and — I mean, the EP is out and you’ve got a big stretch of USA tour lined up ahead of you, so any hints as to what’s next…? James: Yeah! We’re gonna do an album…and we’re hopefully gonna have it out in late spring, middle of the year next year. So we’re doing Europe…we’ll be doing some festival stuff…playing some more. There are talks for a fall tour in Europe as well, and we’d love to make that happen. What else we got, Brett? Brett: Yeah, festival stuff [is] starting to come in for next year. None officially in the book, but we’re excited to get those. James: Maybe South by Southwest? Brett: Yeah, just excited to kind of see where the rest of this journey takes us. It’s been such a cool, fun experience this summer and…all the while living in the moment…Cuz, like, we’re…[soaking in] everything we can out of each and every moment. So looking forward to what comes next.